Resolute’s Fairmont team has been recognized by the Marion County Chamber of Commerce for its community support and involvement. 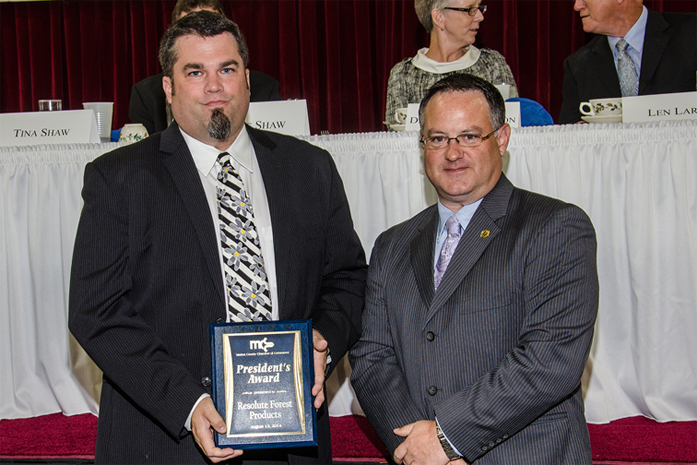 The Fairmont Mill received the President’s Award during the Chamber of Commerce’s 61st annual dinner meeting held on August 13, 2014. 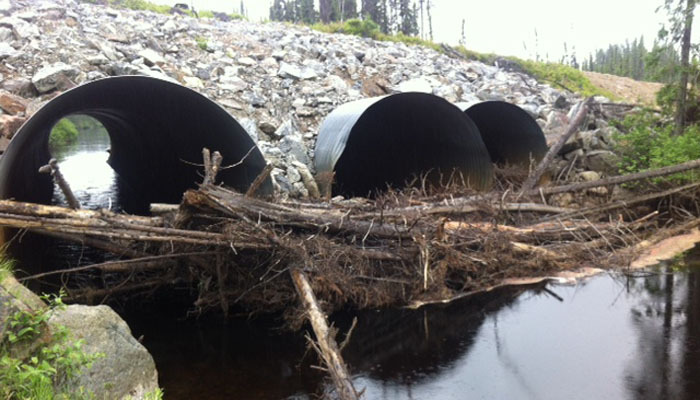 At the request of an avid angler and cottager in the area north of Lac-Saint-Jean, a small team from Resolute took on the task of unblocking a culvert in the Lapointe River, which is used by speckled trout to spawn. Management met with Laurentide paper mill workers in Shawinigan, Quebec, today to inform them that the mill will be shut down permanently on or about October 15, 2014. Unfortunately, owing to its cost structure and market conditions, economically viable options could not be found for the mill. In 2011, after emerging from a difficult period in the Company’s history, we knew it was time for a fresh perspective. We were then known as AbitibiBowater, following the merger of Abitibi-Consolidated and Bowater, and coming up with a fresh new brand identity seemed like the perfect way to move forward as a strong, united organization. With three significant projects in the works in northwestern Ontario, our HR team has been hard at work spreading the word that a slew of jobs will become available in the region over the next year. 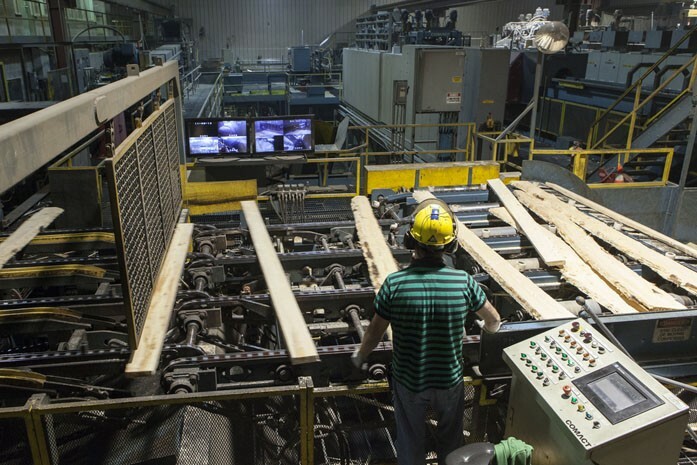 A new wood pellet plant is under construction in Thunder Bay, our sawmill at Ignace is set to restart, and the town of Atikokan will soon have a brand new sawmill.